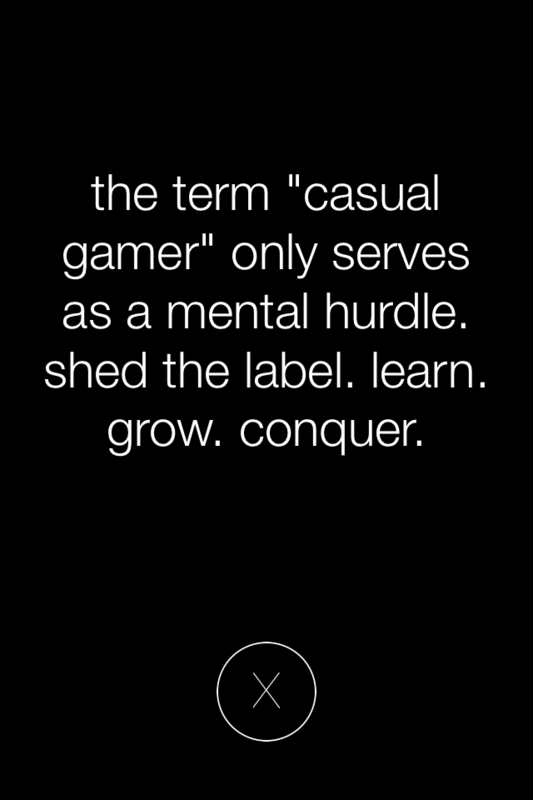 I’ve never been much of a gamer, at least not someone who defined as such. I’ve always loved games, but I seem to be very picky about what I give my attention to–it’s a commitment to hours of my life and my main currency is time. I’m careful about how I use it. In the past, I have been addicted to Professor Layton and Rock Band (at parties), but I find that I’m much more apt to get into something that’s handheld. My iPhone has opened up a whole new era in that vein, hence this new series of posts, “Adventures in Gaming.” I’ll be focusing on mostly phone games. We kick off with a barnburner. 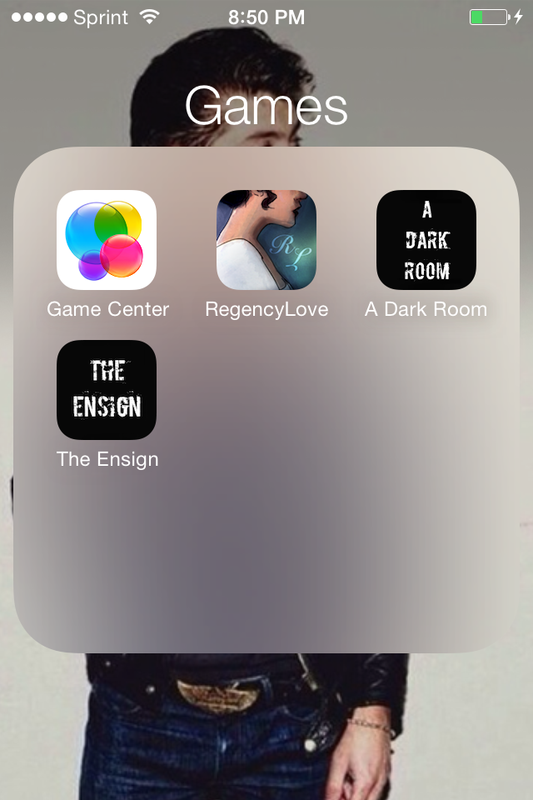 I should qualify that: A Dark Room and its sequel The Ensign are an emotional barnburner. In a tactile sense, they take patience. They require your time and attention and above all, your own imagination. I got to talk to the creator, Amir Rajan, to get some answers to all the questions I had after taking the journey. EP: What was the most surprising thing about the reception to both games? I have to imagine you’ve been the recipient of more than a few impassioned emails. AR: Ha! I never expected the game to get *any* reception. The emails I’ve received are the best part. Especially the ones from kids who want to get into game programming because of ADR. When the game hit the #1 spot in the App Store, I was in complete shock… just hard to describe all the emotions I went through during the time period. EP: It takes patience to play these games, but that ended up being part of the point. Has the reaction to that been what you expected? AR: For me gaming has always been a way to escape, just like someone who wants to get lost in a good book. Like a book, ADR takes a bit of time to set the stage. I’m glad that ADR found those that waited to pass judgement until they got further in. I have no idea how many people bought ADR played for a little bit and deleted it. Unfortunately, mobile games are seen as shallow forms of entertainment, so I’m sure quite a few were turned off by ADR. EP: In A Dark Room, if you make it past the repetitiveness of the beginning, you get to a point where you feel like you are “winning.” You’re doing well. You committed and it paid off. Then the people that you believe you’re working with to form a village become marked as “slaves” instead of workers. When I got to this point, I almost stopped playing. I did not want to do that, I didn’t want to continue, I began wracking my brain to think what I did wrong. I felt that moment, in a way I’ve never felt gaming anymore. Have you had a lot of people write you about that? Did people feel manipulated by that, by the immediate turn of expectations? AR: The slaves transition was by far the most powerful moment in the game. It is definitely an unsettling feeling, especially because it wasn’t a choice the player consciously made. The really weird thing is that we perform immoral acts in other games without having that same reaction. Think about games like Grand Theft Auto, Modern Warfare, or even Super Mario Brothers (where you play the role of a crazed plumber who attacks defenseless mushrooms, birds, and turtles). The Ensign addressed the slaves moral dilemma. As you make it through the game, you encounter scenes that present morality in a distilled form. It’s up to the player to choose to be good or evil, I hope many found that sometimes the decision isn’t so cut and dry. EP: Did you expect to reach out to people that don’t normally game? I rarely do, but I burned through both of your games in a week, barely looking up from my phone. AR: I expected the game would hit a soft spot and evoke nostalgia for those that grew up with text based adventures (from the reviews, it looked like I succeeded in that). What was surprising was that I also connected with middle and high school students! ADR allowed their imagination to run wild and they saw that a game with humble graphics can still be fun. EP: I was emotionally affected by the game and that’s the first time that’s happened to me. I gasped aloud at plot turns; my stomach dropped at points. All with just text, no graphics. I don’t want to diminish your programming, but the amount of storytelling work that went into it seems staggering to me. Did the balance tip either way in your development focus? AR: Michael Townsend (the creator of the web based version of ADR), did most of the work with the game play mechanics. I did a lot of play testing to make sure the pacing felt right for a mobile game, but that’s about all I contributed to the game play. The story line and the player’s interaction with the builder was my contribution… it was only 43 lines of text. I guess what *wasn’t* said is what makes ADR so special. The Ensign (both enhanced gameplay and storyline), was all me. The storyline again is minimal (only 32 lines of text). But those pieces, along with the world in your mind’s eye, is enough. EP: Trying to get people to give the game a shot seems to have been a long trial, as evidenced by your blog. It took perseverance to get people to give it a chance, because the game is a commitment: it isn’t easy and it takes a lot of time. What was harder: making the game or getting it noticed? AR: The development of the game was mentally difficult, getting people to play it was emotionally difficult. But at the end of the day, all I can do is gift the game to those I feel would enjoy it, and wait. If they come back to me and tell me they liked it, I tell them to pay it forward. Gifting the game to others is in itself meaningful, just like any other gift. So I just leave it at that. We’ll leave it at that, too. I do hope you give these two a chance, they’re worth the effort. They stay with you and make you think. Next up in Adventures in Gaming: a special recommendation for Romance fans, Tea for Three Studio’s wonderful Regency Love!